Indonesia surprised the mining world little over a week ago putting into effect an outright ban on nickel ore exports, against expectations of a last-minute climb down by authorities. Indonesia accounts for around a fifth of global supply at an estimated 400,000 tonnes of contained metal and the ban was seen as a potential game changer in the market for the steelmaking raw material. Nickel prices have reacted in a fairly subdued manner however with three-month nickel on the LME last trading at $14,650 a tonne. That's up around 7% since the ban was implemented, but a far cry from 2013's high of $18,700 struck in February and still near levels last seen in 2009. Global warehouse levels have risen sharply over the past two years – hitting a record 260,000 tonnes this year according to LME data – keeping prices subdued. Ample available metal and ore combined with a 20% rise in worlwide mining output since 2011 just as the market was moving into surplus. "Compared to other metal products, the price elasticity of nickel supply is relatively high, and any increase in nickel prices – particularly from the lows of 2013 – is expected to result in increased output. 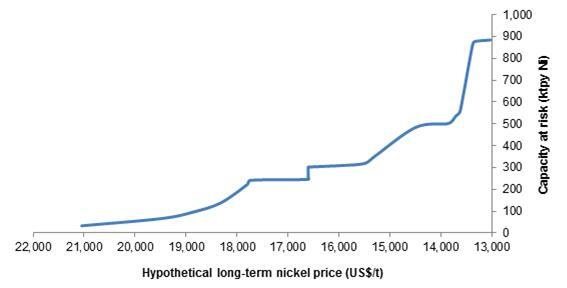 Based on estimated industry costs, for instance, an increase in nickel prices from US$14,000/t to US$16,000/t will restore profitability to approximately 200ktpy of nickel capacity, compounded by parallel price-related demand destruction. " The impact of the ban will be felt most heavily in China which relies on Indonesian laterite nickel ore and accounts for 50% of global demand. Chinese nickel pig iron producers imported more than 30 million tonnes of nickel ore in anticipation of the ban and stockpiles inside the country may be enough to cover as much as 6-months supply. The Chinese government may enter the political fray surrounding the nickel ban and attempt to effectuate an exemption for some of its companies, through diplomatic back-channels. Chinese-Indonesian relationships were normalised in 1990 and China has since grown to become Indonesia’s second-largest trading partner, behind Japan, with bilateral trade expected to reach US$80 billion by 2015. 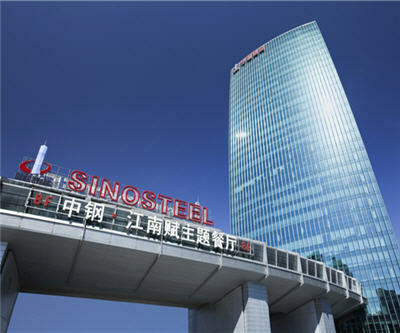 Chinese companies also remain heavily invested in infrastructural development, and although it may wait to see the outcome of the Indonesia’s presidential elections, Roskill expects that China may leverage its influence to secure the interests of its metal industries by securing additional transitional arrangements. Indonesia, with a population of 240 million, goes to the polls for parliamentary elections in April and in July will choose a new president. Base metals including copper, manganese, lead, zinc and tin will be allowed to be exported in concentrate until 2017, but Indonesia is upping export taxes on concentrate from 20% to 60% by the second half of 2016. US companies Freeport-McMoRan Copper & Gold (NYSE:FCX) who operates the world’s third largest copper mine at Grasberg in the West Papua province and Newmont Mining Corp. (NYSE:NEM) together account for 97% of Indonesia's copper exports.